It’s that time of year again – and a great opportunity to campaign against armed drones in your local area. To help you campaign we have a range of new resources to download, as well as news of a fun competition we hope you’ll join in with. – and a petition. Please print it out and collect as many signatures as you can. 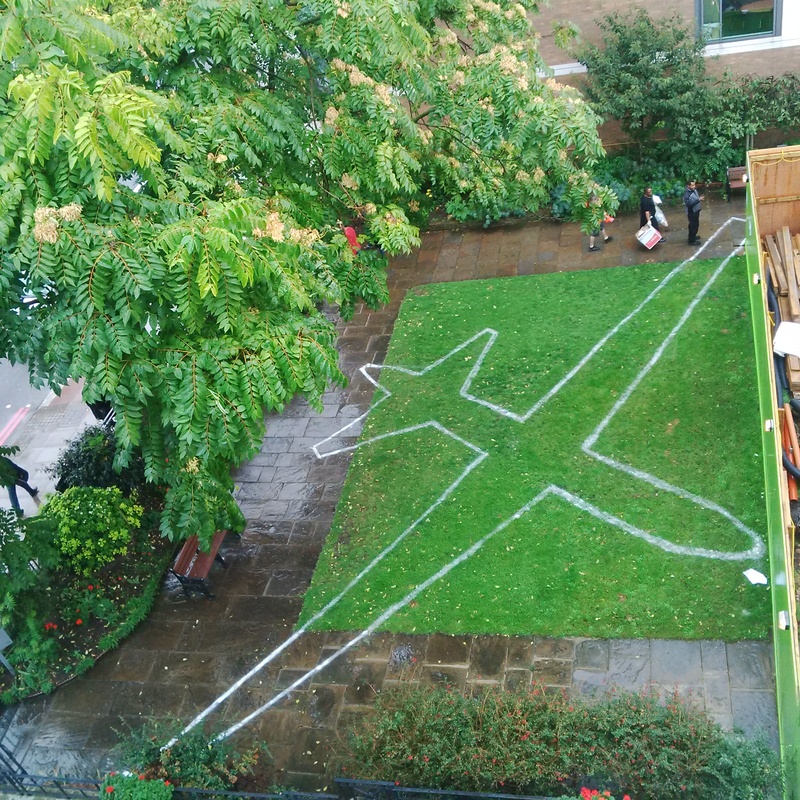 This year Drone Campaign Network have teamed up with the ‘Art Department’ of the MOD, who have been working hard to rebrand the Reaper Drone after concern that its current name and reputation for killing civilians is giving off the ‘wrong’ impression. So far ‘Protector Drone’ is the best we’ve come up with, however we think YOU, good members of the public, could do A LOT better so we’re running the competition. Get your thinking caps on and your creative juices flowing, your country needs YOU to ‘Rebrand Reaper’. 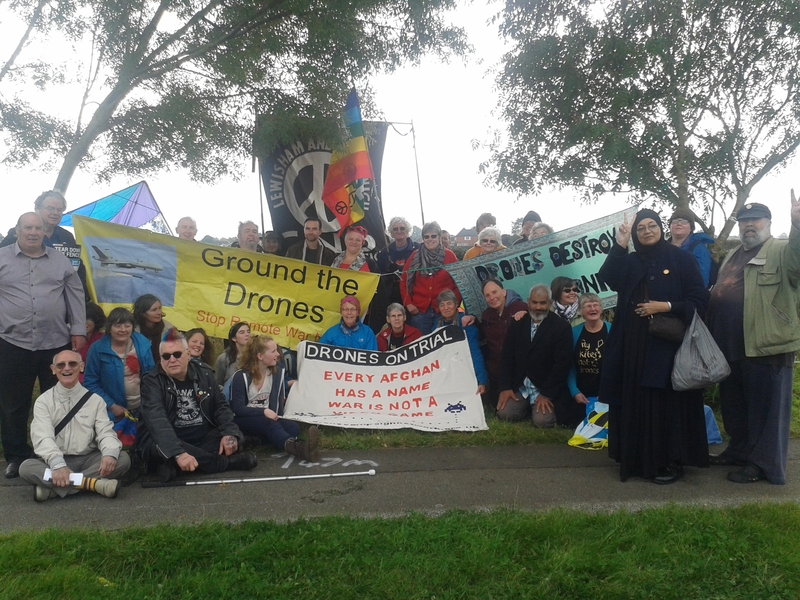 On Wednesday 7th October there was a prayer vigil outside the Elbit drone engine factory in Shenstone near Lichfield. Organised by theology students from the Queens Foundation in Birmingham, people came from Coventry, Leicester, Lichfield, Birmingham and Shenstone to say no to drones and to remember both the victims of drones and also Professor John Hull who had been loved by students and an inspiration at so many previous vigils at the factory. Flowers were left at the fence in their memory. 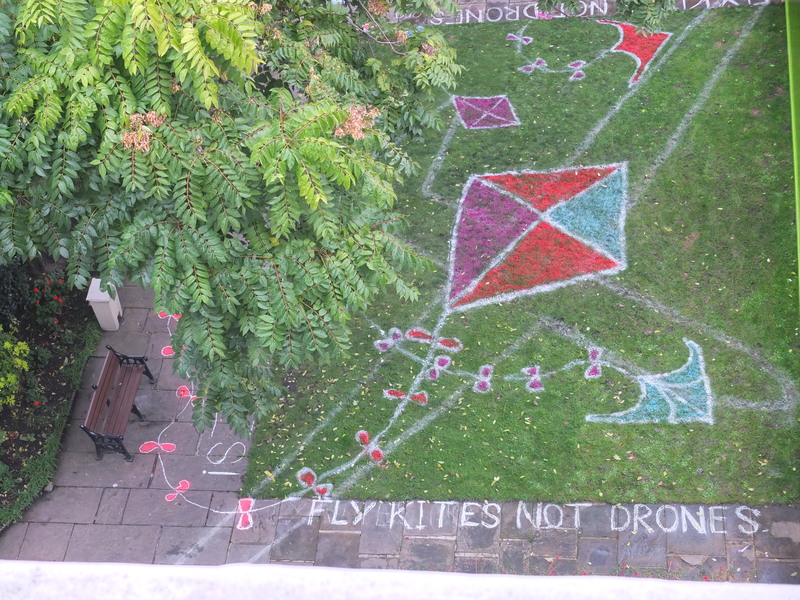 At Friends House in London, Quakers launched the Fly Kites Not Drones education resource with images of kites and drones in their garden opposite Euston Station, through which many people walk. 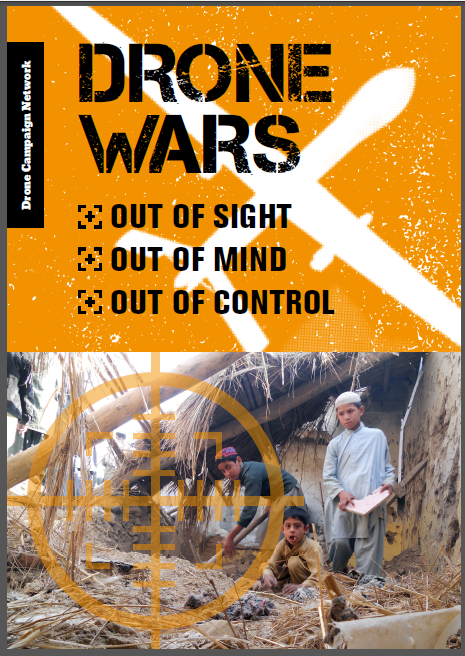 Anyway during the week you could encourage people to sign the new petition we have launched about targeted killing – see campaigning news – or order the Fly Kites Not Drones education pack – see resources page. 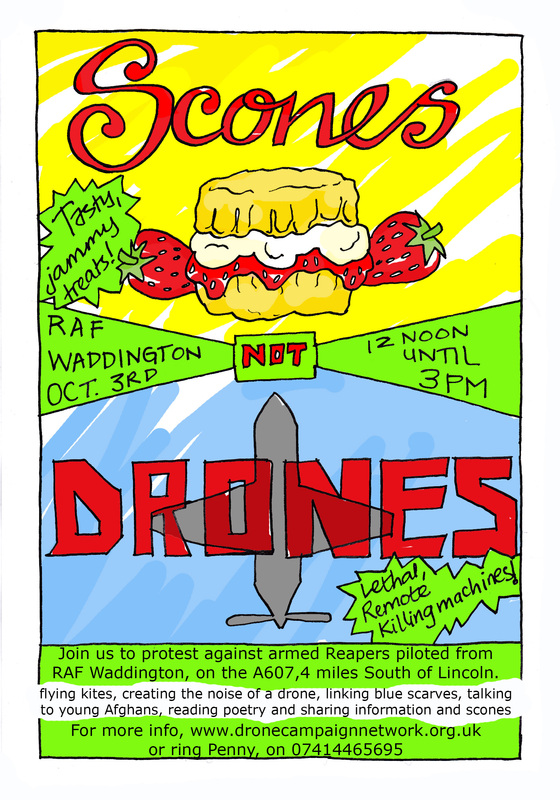 Saturday 3rd October – Scones Not Drones! NB. 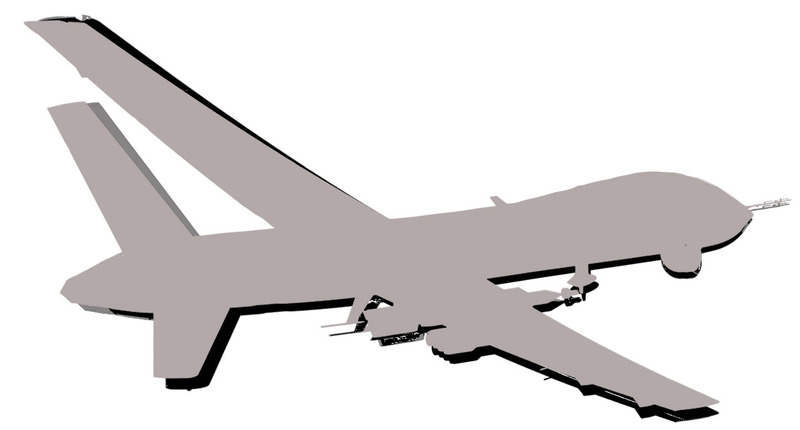 Although British Reaper drones are no longer in Afghanistan, the US are continuing drone strikes there. Now the British Reaper drones are being used in Iraq and Syria where they are killing and injuring men, women and children. Our links with the inspiring young Afghan Peace Volunteers have relevance for all people affected by drones wherever they live. The factory is a 4 minute walk from the train station (come up onto the road and turn left). Organised by Queens anti-drones group at the Queens Foundation Birmingham. We will gather to stand in solidarity with the victims of the Elbit drones, and all victims of war, as well as honouring the memory and influence of John Hull. Everyone welcome. The week of action ran from Saturday 4th October until Saturday 11th October. Please let us have your events to publicise here by emailing penny.dcn@gmail.com. If you would like a drones resource pack for your event see the resources page. Thursday 9th October until Saturday 11th October Bristol. The Beautiful drones quilt made by the Fellowship of Reconciliation with the names of civilian drone victims will be displayed at John Wesley’s Chapel, 36 The Horsefair Bristol BS1 3JE open 10am -4pm. Plus a Child Victims of War stall with information on drone warfare and the Fly Kites nor Drones Campaign. Wednesday 8th October 7.30pm Friends Meeting House, Horsefair, Banbury OX16 0AH, talk by Paul Mobbs ‘Phones, Drones and RAF Croughton:pervasive technology and the ‘surveillance state’. 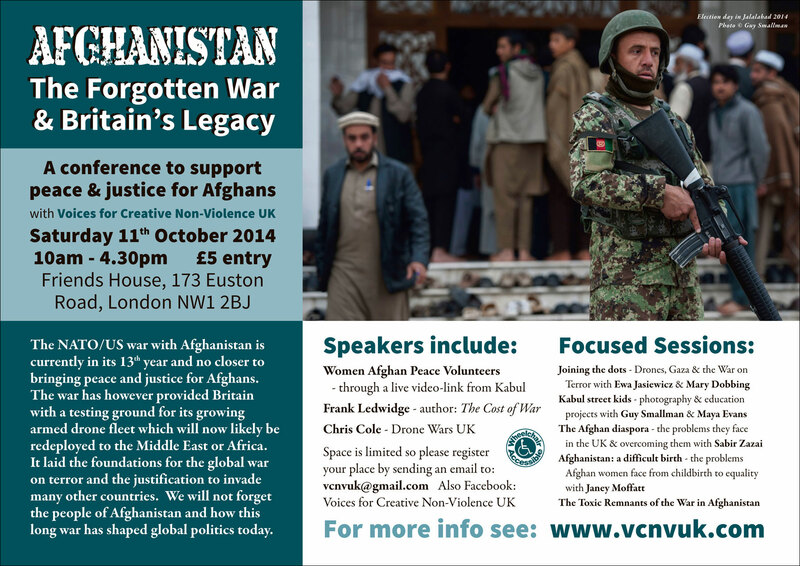 Saturday 11th October Conference at Friends House, Euston, London about the legacy of Afghanistan including the impact of drones.